Discover where your family harmony is working for you, and where it isn’t. Before embarking too quickly into any particular aspect of an upcoming transition, make sure that you know the context that you are starting from. You may be surprised by what you learn, but you will also be in a better position to break through the uncertainty and get your family to a stage where they can all clearly see how they will be able to work together in the long term. What: We will include as many members of the family as necessary, and hold an introductory meeting to discuss the undertaking ahead of us. A quick discussion of the Three Circle Model will serve as a primer on where everyone is situated, and we will then talk about the project steps in detail. Plenty of time for everybody’s questions will be provided. What: Each family member will receive a link to go to the online questionnaire to complete the 30-minute VIA Character Strengths diagnostic. This will provide a general overview of each person’s key character traits, which will give them (and me) some interesting insights that they may have not realized before. 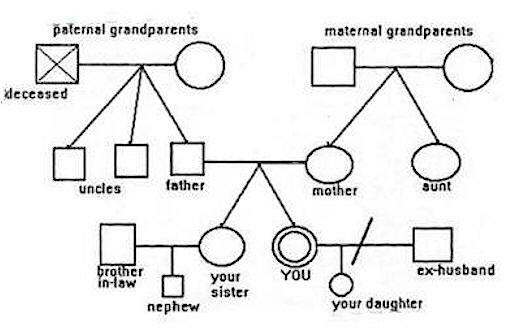 What: Each family member will be met with individually, and we will complete and share the family’s Genogram. Additional information will also be gathered, and family members will have the opportunity to share their opinions, values, aspirations, and their perception of the family’s dynamics and communications. All information received will be held in confidence, and only be shared in a general and anonymous fashion. What: An overview that highlights a “lay-of-the-land” will be prepared, for all family members to share. This will highlight the top 3 or 4 themes, or areas, that have been identified as keys to moving forward together successfully. The report will be sent to each participating family member in advance of the feedback meeting. What: Another meeting will be held with the entire family, to discuss the report, hear the family feedback to it, and openly discuss the project, the findings, the reactions, and to lay out the priorities revealed. What: A final written summary of the project will be prepared, detailing the findings, the feedback and the key themes for future action. An implementation plan and timeline will also be provided, along with ideas to help the family co-create lasting solutions together. The Family Harmony Breakthrough Package will take the family from a state of uncertainty, filled with many assumptions, to a state of awareness and understanding of what steps need to be taken for all the pieces of the family puzzle to fit together, in the space of a few short months. This package is currently available for an investment of $9,500 plus travel expenses, and can normally be completed in 60 – 90 days. *These interviews may be done via Skype if more convenient.